With the consistent flow of leaks and speculations, followed by teaser videos from the Korean giant itself, Samsung has launched its much-awaited flagship smartphone, the Galaxy Note 9, at its signature ‘Unpacked’ launch event in New York. 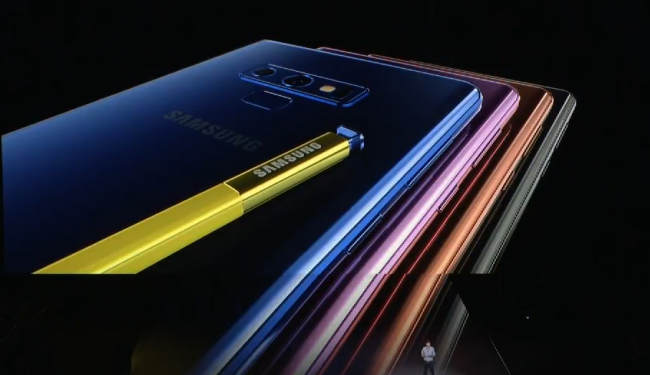 The Note 9 will be sold in a 6GB RAM / 128GB storage model for $999 and a top-tier model with 8GB RAM and 512GB storage version for $1,250. Pre-orders will begin on August 10, and the phone will be available on August 24 in the US. Samsung has not yet announced the availability and pricing for India. 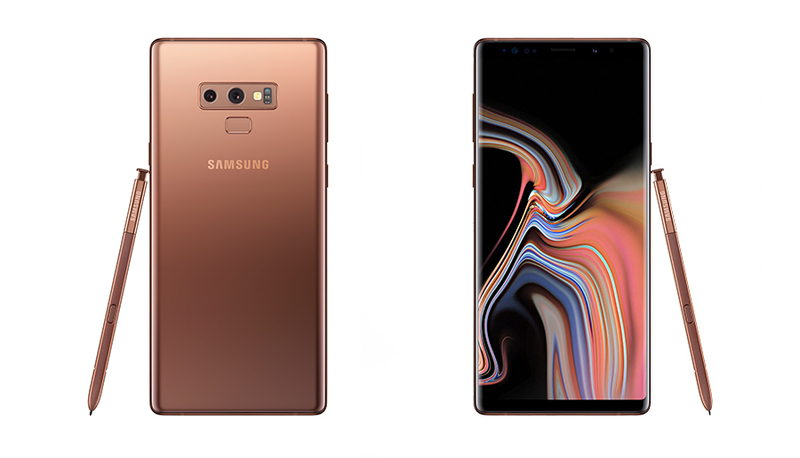 The Galaxy Note 9 will be available in four colors – Metallic Copper, Ocean Blue, Midnight Black, Lavender Purple, with matching contrasting S-Pen. To start off, Samsung has followed an approach similar to what it did with the Galaxy S9 series and hasn’t changed a ton of things on the design front when you compare it to its predecessor, the Galaxy Note 8. The Korean giant has still gone for its traditional glass-sandwich design, with the Infinity display and glass back. It has further trimmed down the bezels at the top and bottom to now include a 6.4-inch Quad HD+ AMOLED screen into the Galaxy Note 9. The major highlight of the design update will, however, have to be the decision to move the fingerprint sensor under the camera module. It was previously located to the right of the camera module on the Galaxy Note 8. So basically, there’s a modest improvement in the design and build. 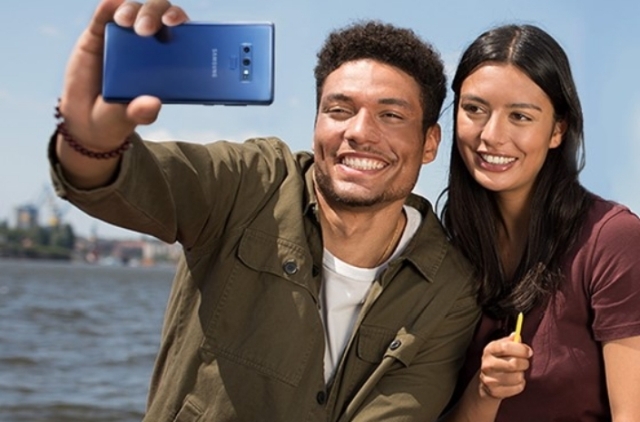 Just like most Android flagships launched in 2018, the Galaxy Note 9 is powered by the latest and greatest from Qualcomm, i.e the Snapdragon 845 processor (and Exynos 9810 for some markets) and either 6GB RAM and 128GB storage, or 8GB RAM and 512GB storage. The Galaxy Note 9 features a dual-rear camera setup that’s exactly similar to the Galaxy S9 Plus, but has a horizontal orientation. This means you get a primary 12MP wide-angle lens and a secondary 12MP telephoto lens. The former has a dual aperture mode (f/1.5 mode, f/2.4 mode), while the telephoto lens has an f/2.4 aperture. There’s also the 8MP AF sensor, with an f/1.7 aperture on the front. The Galaxy Note 9’s camera also comes with a number of AI features like the scene optimizer, which means it can detect scenes and objects. There’s also improved low-light live focus mode (portrait), flaw detection, and super slow-mo mode on board, similar to Galaxy S9+. The Galaxy Note 9 comes with a larger 4,000mAh battery pack as compared to its predecessor, which shows that Samsung has left its explosive Note 7 days in the past. It also includes a USB-C charging port along with everyone’s beloved 3.5mm audio jack. It runs Android 8.1 Oreo out-of-the-box, with Bixby in tow. Samsung DeX has also bagged an upgrade, which means you can now turn your Galaxy Note 9 into a desktop experience with just the use of an HMDI cable. You don’t need the DeX accessory to get the same experience as before. Everyone fancies the flagship Galaxy Note lineup for one primary reason, the S-Pen. This add-on accessory that fits right in the device’s body is easily accessible and is the perfect tool to further productivity. Samsung has now made the S-Pen even more useful with the introduction of Bluetooth support. It also has its own battery pack, which charges within just 1 minute when you place the pen back in the device. Yes, connecting the S-Pen to the Galaxy Note 9 via Bluetooth to get access to a ton of features. 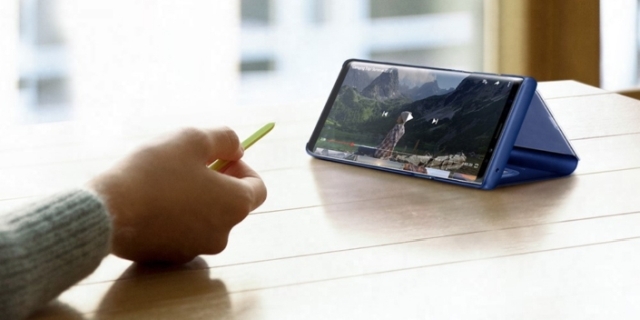 You can use the new S-Pen to play and pause YouTube videos, capture photos or flip through slides in Microsoft Powerpoint. You’ll also be able to use the S-Pen to control music, unlock the Galaxy Note 9, and a lot more with the upcoming S-Pen SDK that Samsung plans to release over the coming weeks. 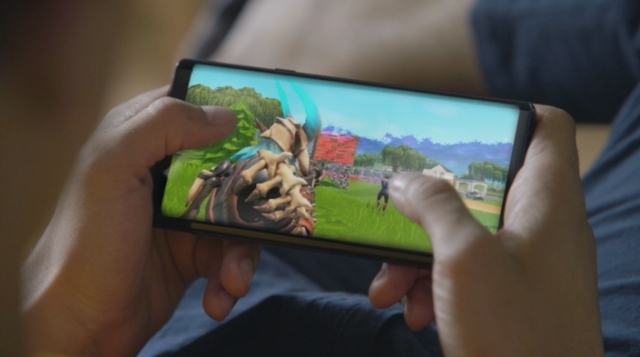 Confirming yet another leak, Epic Games CEO Tim Sweeney stepped out on stage at the event to announce that Fortnite for Android is finally here but it’ll be exclusive to Galaxy devices – not just the Galaxy Note 9. It is available right away and you can download it via Epic’s own website and the Samsung Galaxy Apps store, with no info on when the exclusivity will come to an end. Yes, the Galaxy Note lineup has always been popular among gamers and Epic Games is banking on the same to finally launch its popular battle royale game on Android. 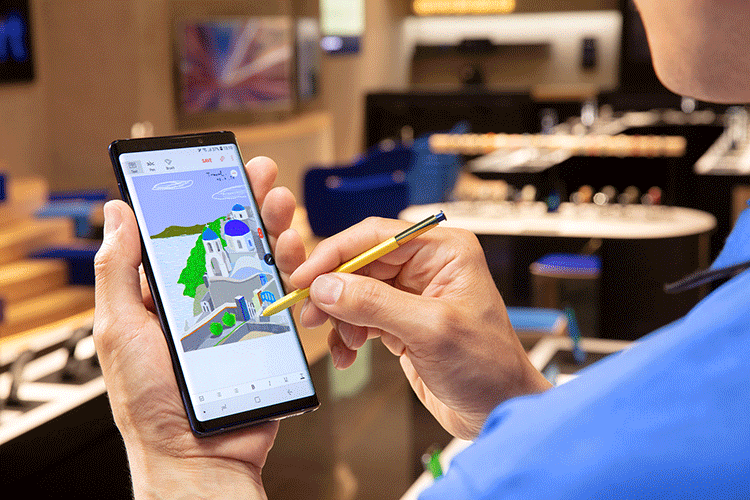 The Galaxy Note 9 feels like a modest upgrade over its predecessor, with the new S-Pen and DeX hogging the limelight. So, are you looking forward to buy the Galaxy Note 9? Do let us know in the comments below.